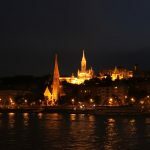 Celebrate the New Year 2019-2020 in style in Budapest! On 31 December 2019, the New Year’s Eve Budapest River Cruise awaits you. Endless drinks, gala dinner, Folk show and party. 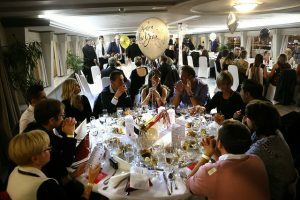 The New Year’s Eve dinner boat ride comes complete with an all night and all dawn New Year’s Eve party on the river Danube in the heart of Budapest, with Drinks, Dinner (plus a midnight dinner), Open Bar, dance show, and amazing views! For €179 what is included? Just bring yourself and get your New Year off to a bang! You can book your New Year’s Eve dinner & party cruise now by paying approx. 1/3 of the full price, with a deposit of €70. The pre-booking price of the special NYE river cruise is €179. 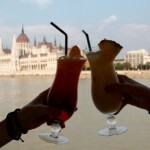 The minimum age of the cruise is 18, the legal age of alcohol consumption in Hungary. 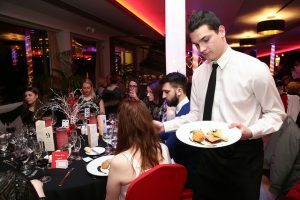 Sight, lights, live music, delicious 5 course gala dinner, then another extra dinner at midnight (with a traditional Hungarian dish of rice, meat and cabbage (stuffed cabbage)), plus lots and lots of drinks the Budapest New Year’s Eve dinner cruise! Book your seat on the New Year’s Eve dinner cruise now. 70 for VIP cruises. Learn more about the Budapest river cruises, or place your booking now for the New Year’s Eve special boat tour in Budapest. Let the New Year’s Eve end with a beautiful heart warming sight and a pleasant dinner party on the boat tour on Dec 31 2019 going on until the dawn of Jan 1 2020. The all night party dinner cruise will start at 7 pm. Picture the fairy tale winter riverfront of the city of Budapest divided into a hilly Buda and a flat Pest by the river Danube. What will you see during your New Year’s Eve dinner cruise? The amazing UNESCO World Heritage site of Budapest, which includes the two banks of the river Danube around the Buda Castle, the Chain Bridge, the Parliament. Budapest has wonderful sights along the river indeed: the Buda Castle atop the Castle Hill, with the colorful Matthias Church roofs and the romantic Fisherman’s Bastion, the Neo-Gothic turrets of the Hungarian Parliament, the cupolas and curves of the Gresham Palace (Fours Seasons Hotel), the peaceful Margaret Island, the majestic domes of the St Stephen Basilica, the contemporary Palace of Arts, the slopes of the steep Gellert Hill, the beautiful bridges, etc. You will have a perfect time to enjoy your New Year’s Eve celebrations by getting aboard the Budapest New Year’s Eve Party boat tour, having a candle lit dinner while watching the many attractions and the UNESCO World Heritage site. Then warming up for the party night with some drinks continues with a lovely dance performance around 10 pm (Gypsy dances), and more cruising. Foods and drinks will be abundant and very nice. 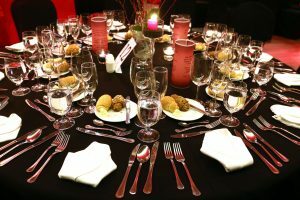 As the Hungarian tradition goes, after the 8 pm gala dinner, you can enjoy the midnight dinner at 12 am, after cheering to the New Year of 2020! Budapest night views are romantic, historical and fascinating. 7pm: the Budapest New Year’Eve boat ride will start at 7 pm. Please check your confirmation email which dock is for your reservation. Please note that this is not a drop in party, pre-booked tickets are required. 8pm – 10pm: cruising and dinner is on. NYE Gala dinner with boat sightseeing, and an Open Bar all night and dawn! from 1 am buses provided by Budapest River Cruise will take guests back to the hotel. The buses run every hour on a schedule. Please note that the actual NYE cruise (moving) on the river Danube is a 2×60 minute cruise, while the New Year’s Eve full night boat program is from 7 pm until approx. 5am. Boarding the ship will only start at 7pm, not earlier. We reserve the right to change the program of the NYE cruise to make it even better! Budapest New Year’s Eve Cruise Booking on the left side of this page in the booking form – reserve your cruise seats online in advance while there is room. We sell out the cruise by mid December, so make your reservation early. The Dec 31 the NYE dinner boat tour on the river Danube in Budapest will start at 7pm. 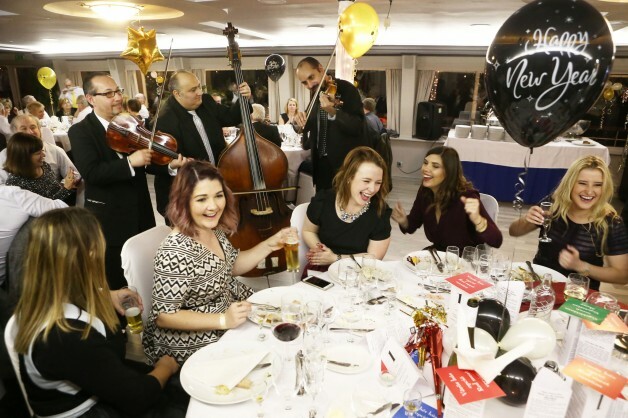 The 7 pm VIP New Year’s Eve river cruise includes: the river cruise, the NYE Gala dinner, and the Midnight dinner (rice & meat stuffed cabbage served buffet style at 12am), the drinks (Open bar: unlimited drinks, including spirits) and the live music. The general dinner cruises run all year round (the boats are heated in winter time and cooled with AC in summer time). We will also have a special – but more laid back and modest – New Year’s Day river cruise on the 1st of January, 2020. 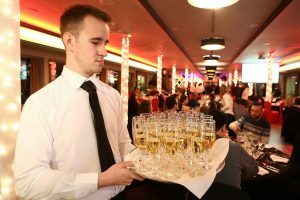 River Cruise with Dinner, Drinks & live Music & Performance on New Year’s Eve: €179. This is a flat price, there are no special NYE discount tickets. You can pay for the boat ride fully (€179), or just book your NYE cruise now, and pay the rest later: secure your booking by paying a part of the full price (€70). You can place your deposit to reserve your NYE Budapest Party on the Cruise now: Budapest New Year’s Eve Cruise Booking – please use the booking form on the left side of this page, fill it out and wait for the payment page to download. Save Now with the Pre-Booking Deal! If you book your New Year’s Eve boat tour, you only need to pay the deposit of €70 of the pre-booking price of €179. You will pay the rest of the cruise fee in cash on the ship of the Dec 31 River Cruise. If you wish to pay by card for the remainder, you will need to visit the office of the ticket agency in the Danube Palace 24 hour before the cruise ship takes place. Paying by cards is only accepted at the ticket office in the Danube Palace (Duna Palota), while paying by cash is the only way you can settle the NYE cruise price on the ship (the ship is not equipped with a card payment facility). 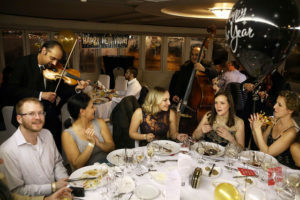 And the palate: the exquisite Budapest New Year’s Dinner cruises are made and orchestrated by one of the well known Hungarian chefs (Peter Molnarka). Please see the rich and versatile menu below, which healthily mixes fresh tasty vegetables and meats. 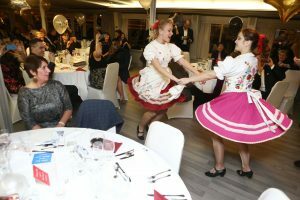 The dinner cruises are reported to be the highlight of many visits to Hungary, especially on Budapest New Year getaways. 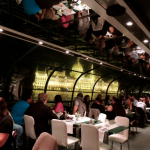 If you ask fellow tourists or read dinner cruise reviews, you will see how visitors enjoyed their Budapest boat rides, the great dinner, and the nice live music. The New Year’s Eve Dinner & Cruise Budapest night boat tour, which can be booked through our online booking form, includes a a 2×60 minute boat ride on the river Danube in the heart of the city of Budapest, with lots of things to enjoy, live entertainment, great music and drinks/ foods all night and dawn. Each night, the Budapest dinner river cruises are available from about 7pm to 9.30pm, and some nights from 10 pm to 11:30 pm. On special evenings, you can enjoy festive boat rides in Budapest, e.g. at Christmas (Dec 25), on New Year’s Eve (Dec 31), on New Year’s Day (Jan 1), on Valentine’s Day, at Easter and on Aug 20. The boats are air conditioned in the summer, and heated in cold weather, so the river cruises run all year round. Meeting Point: Dock Academy 3 on the Pest side. Unfortunately, we cannot accept drop ins for the NYE Party. Please reserve your seats to make sure to get on this beautiful end of the year crescendo cruise: Budapest New Year’s Eve Cruise Booking Form on the left side of this page. Please fill out the form, then wait a few seconds for the payment page to download. Please bring your proof of payment you received after booking your cruise (the confirmation email) either printed out or on your mobile phone. The remainder fee is to be paid on the ship in cash (there are no card terminals on the ships). Please arrive in time for the river cruise at 6.30pm at the latest, so that we can finish boarding by 7 pm and start the NYE cruise in magical Budapest! 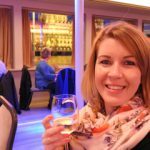 How can I book my Budapest New Year’s Eve river cruise? Budapest New Year’s Eve Cruise Booking: please use the form on the left side of this page. There will also be an after party river cruise on New Year’s Day in 2020. Bonjour, malheureusement, nous ne pouvons pas garantir encore que l’un des navires va être l’ Europa . 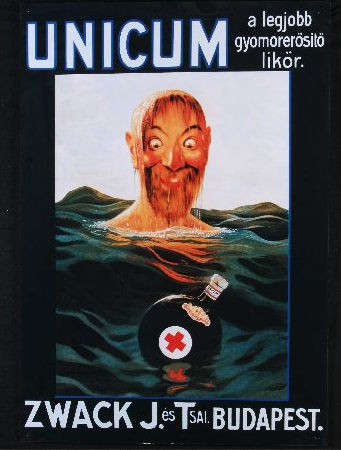 Puis-je s’il vous plaît suggérer à envoyer un commentaire ou une demande de renseignements à nouveau plus tard dans l’année ? Quand les petits bateaux seront pleins , qui est quand les clients peuvent réserver pour l’ Europa . Merci de votre compréhension. At the moment, The nostalgia boats (Millennium I and II, Halaszbastya, etc.) are accepting bookings. As soon as the tickets sell out, Europa will accept new bookings. Celebrate the Christmas holiday in Budapest! I think, all has already been sorted out in your booking. Have a great time in Budapest on New Year’s Eve! We a 5 adults party and a 2 year old baby. We want to spend NYE in your cruise, but first, we would like to know if my baby of 2 years can go? How much he will pay? We saw the $170 Euros package, but can you tell us if this will be the best option for us? Please note that the minimum age of the NYE Party Cruise is 18+. For families with younger children, we would recommend a non-cruise but popular and elegant program on a standing ship restaurant. There are children tickets available on half price, and the program is free for children under 3 years old. I would like to book for 4 persons the NY’s Eve Cruise Party&Show, 2 adults and 2 girls, 13 and 10 years. Maybe I’m crazy since today it’s 22nd Dic, but I want to be sure there are places before booking. 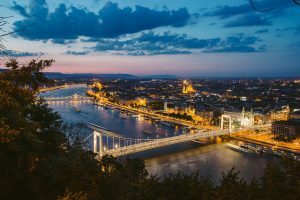 The Budapest NYE River Cruise is a boat party from 7 pm to 5 am, it is not suitable for children at all and only people above 18 years of age can attend this program. Let me please suggest you another option though, the Budapest Opera NYE River Cruise, where there are discounts for children under 12. I hope I could be of assistance. Thank you so much for your kind reply and advice. I’m going to book the Opera Cruise. I hope it’s not full yet!!! there are still few tickets left for the New Year Eve Cruise Party with Music and Dance Show, but please hurry up, tickets will likely be sold out soon! Hello, what is the dress code for this party cruise? We are two adults in our 30s looking for a fun/romantic dinner/cruise for NYE, but we are traveling through and will not have any gala clothes available. Do you recomend any other cruise for NYE? The Dress Code for the NYE Party Cruise is Casual / Smart Casual. It only emphasizes comfort over presentation, formality and conformity. More simply, it is something relaxed, occasional. Wearing jeans and trainers means no problem at all. Please hurry, as tickets are selleing out fast for this popular program. When and how long are the live music / performances? Is there music during the midnight dinner? What kind of music is being played from 1am? Are there some photos / video’s from last year’s event if there was one? Which ship will be used? Do we have to pay the remaining amount in EUR or HUF? thank you for your inquiry. We have already contacted you via email. There is no mention of NYE fireworks. Does Budapest have fireworks at midnight and will the boat be close to view them? Please note that there will be no official fireworks show in Budapest on New Year’s Eve, but traditionally there are some fireworks throughout the city. Most probably some of them will be visible from the NYE boats too, but we cannot guarantee the fireworks show (the city officially does not organize them). That said, most privately organized fireworks displays are close to the river Danube, so they will be easily seen from the boats. But the Fireworks Shows are more modest than the spectacular, national Aug 20 Fireworks. I am afraid, the minimum age of this NYE cruise is 18, no exceptions can be made. Thank you for your understanding. Let me please recommend you another NYE program, where there is no age limit. 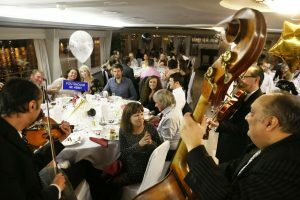 It is the Budapest NYE Dinner Cruise & Piano program. I’d like to have more information about the schedule. Do you have a mail contact ? it is the same program. I am afraid, we do not have any videos. Hope we can welcome you aboard! each guest is taken back to their own hotel – which can be any accommodation within the boundaries of Budapest. Can you tell me where the academy Dock 3 is? I am thinking of joining you on New Year’s Eve 2019 and need to look for a hotel nearby! Please kindly note that the departure dock of the NYE Cruise is not 100% fixed yet. Of course, you can already make your booking, but the meeting point might change as we get closer to the date of the program. Thank you for your kind understanding. I have booked the NYE cruise, and have been charged 140 Euros ……..Am I correct to assume that is a deposit, and I will be contacted for the full payment later? Yes, it was the deposit. The Remainder Fee is to be paid on the cruise ship in cash (Euro or HUF) – there is no card terminal on the NYE ship, please prepare with cash payment for the remaining cruise fee. All the important details can be found in your confirmation email. Hello… is it possible to reserve a table at window? I’m afraid it is not possible to book window table on this program.